B.C. Ministry of Health recently published a policy paper discussing contracting out complex surgeries with stays of up to three days, in an attempt to cut down surgery wait times. A proposal by the provincial government to allow more surgeries — of up to three-day overnight stays — to be contracted out to private clinics using public funds has a left-leaning think tank warning that the move could open the door to U.S.-style health care privatization. 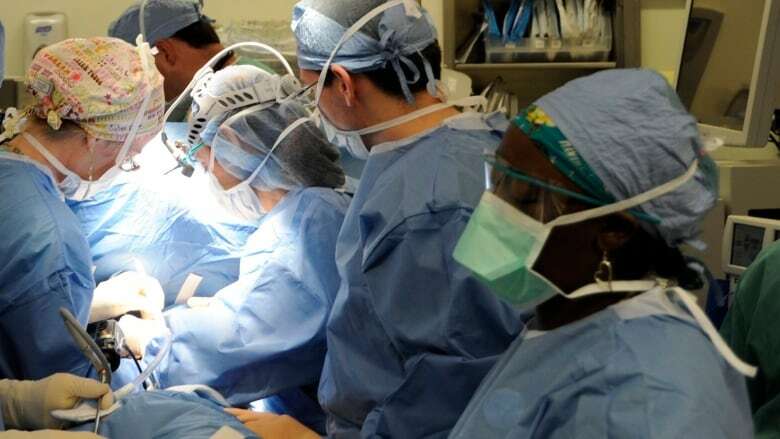 The Canadian Centre for Policy Alternatives, a left-leaning Vancouver-based think tank, released a report April 26 assessing a recent policy paper published by the government that explored the future of surgical services in the province. Andrew Longhurst, the lead author of the CCPA report Reducing Surgical Wait Times in BC, said that though the government's policy paper put forward "some very good recommendations and ideas", the proposal to allow private clinics to perform more complex surgeries requiring up to three-day overnight stays is "troubling." Currently, the province allows same-day surgeries at private clinics. "That doesn't happen anywhere else in the country and would open the door and pave the way for hospital privatization in our province," Longhurst told host Michelle Eliot on B.C. Almanac. "The concern here is what we know from the academic scholarly literature on this issue which is that private, for-profit hospitals are actually far more expensive than delivering it in nonprofit hospitals and it comes with a higher risk to patient safety. [There are] higher mortality rates for patients when you send them to for-profit facilities." In the policy paper, Future Directions for Surgical Services in British Columbia, the Ministry of Health acknowledges that the demand for surgery is being driven up, and that there are a number of areas that require improvement or change. The paper includes a number of recommendations including eliminating backlogs and better managing wait times by having data that defines what exactly the patient is waiting for (whether it's a test, surgery or something else). The paper also suggested encouraging and implementing alternative practice models, such as using third-party facilities to offer a range of procedures for lengths of stays of up to three days — something that would require legislative changes to the Hospital Act. In its report, the CCPA recommends maximizing surgical capacity, reducing inappropriate surgeries and having better access to affordable, high quality residential and home healthcare. "We know from the government's own policy paper that nearly 20 per cent of hospital operating rooms in the province are not regularly staffed and none of them have extended hours, so there's clearly an opportunity to better utilize that," Longhurst said. 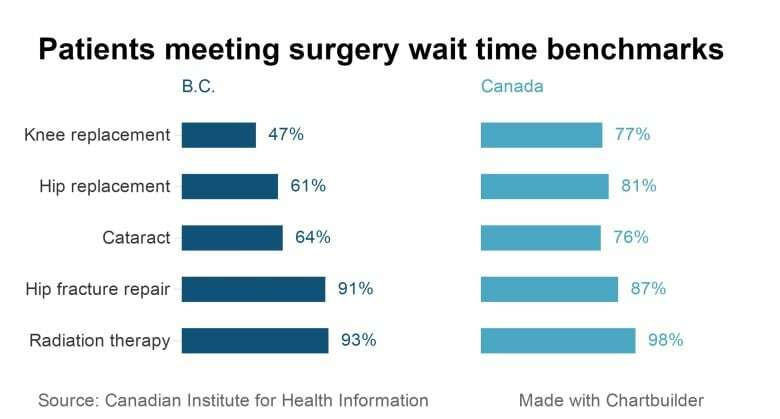 On the same day that the CCPA released its study, the right-wing think tank, the Fraser Institute, released a study that explored an initiative that the government of Saskatchewan introduced in 2010 to tackle long surgery wait times in that province. Janice MacKinnon, a University of Saskatchewan professor and the author of the study, said private clinics were one of a number of initiatives introduced by the province that helped them cut down on long wait times. "The key thing about any private delivery is the contract that you negotiate," MacKinnon said. "You can find lots of examples where private delivery didn't work. In Saskatchewan they were extremely transparent: Here's the method that we're going to cost. Here are the rules. You have to follow the Canada Health Act. You have to do all of these other things. "If you do it properly and carefully, it can work."